There are many advantages to running an operating system and software that matches your computer’s architecture, which is probably 64 bit. While 32 bit has always been problematic (see below), we continued to support it as long as possible, but MATLAB ended support for 32 bit as of release 2016a. 32 bit operating systems typically access no more than around 3.2 Gigabytes of total memory… even with 4GB installed. Usually the PC system is already using several gigabytes of memory, leaving little available memory to test images with Imatest. Imatest will not use virtual memory for its calculations so a system with adequate available memory is important to the successful operation of the program. While 32 bit operating systems will run Imatest, the size of the images you can test is limited to the size of your available memory, which is often under 1 Gigabyte. A 64 bit operating system is recommended for using Imatest to test images larger than 10 megapixels. The 32 bit version of Imatest running on a 64 bit operating system will be able to access up to 4GB of memory. There is a 64 bit version of Imatest available, but only required if you are testing extremely large images ( > 80 Megapixels). Many users install 32-bit operating systems on 64 bit hardware. This is a mistake. A 64-bit OS should be installed on 64-bit hardware. There is no advantage to having over 4 gigabytes of memory if you run a 32 bit OS. When Imatest starts, two lines in the command window display memory availability. 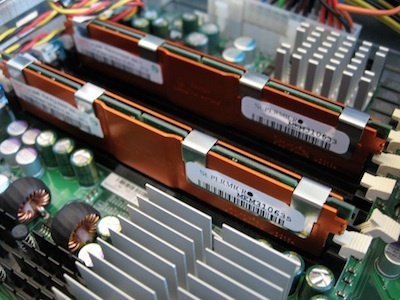 The total physical memory (RAM) for this system (shown above) is 7989MB (i.e., 8GB). If Imatest runs out of memory, the following line appears in the command window and in the Error Occurred window. The Colorcheck module is particularly sensitive to memory availability. (Multitest and Multicharts, which perform all Colorcheck functions, can work with much larger images.) We have seen Imatest run out of memory in Colorcheck for a 16 Megapixel image on a 32-bit OS with 3GB RAM and for a 36 Megapixel image for 32-bit Imatest running on a 64-bit OS with 8GB RAM. Running 64-bit Imatest solved the problem. This entry was posted in Troubleshooting and tagged 32-Bit, Memory, Windows XP.